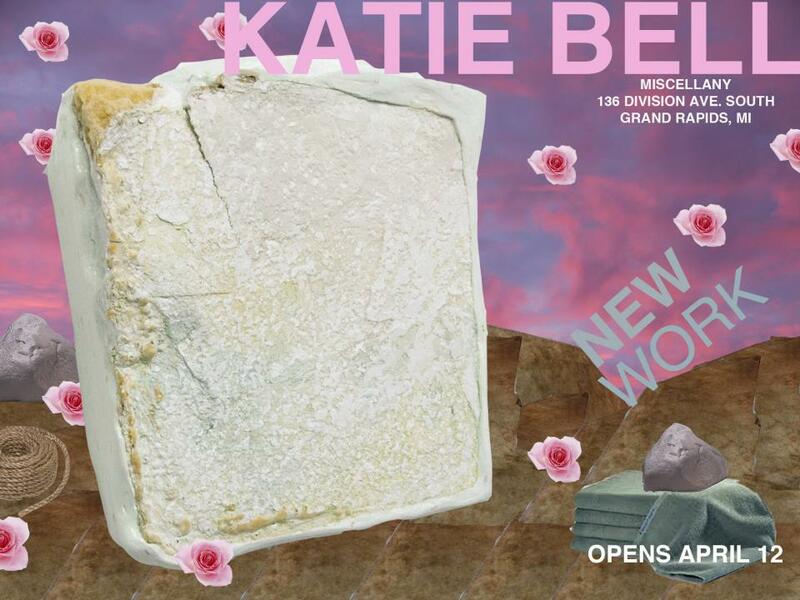 Katie Bell is an artist originally from Rockford, Illinois. She received her BA from Knox College (Galesburg, IL) in 2008 where she studied fine art and race and gender studies. She graduated in 2011 from the Rhode Island School of Design (Providence, RI) with an MFA in Painting. Bell has shown her work at a variety of venues, including Mixed Greens Gallery in New York, Nudashank in Baltimore, PLUG Projects in Kansas City, and Okay Mountain Gallery in Austin. In 2011 she was an artist in residence at the Marie Walsh Sharpe Art Foundation’s Space Program based in Brooklyn, NY. She currently has work included in ‘PAINT THINGS’ at the DeCordova Sculpture Park and Museum (Lincoln, MA). Bell lives and works in Brooklyn, NY. Opening night April 12th for Art Downtown at Miscellany. For more information on the event see the Facebook page. For more information on the Katie Bell see her website here. This entry was posted in Exhibition, Grand Rapids, Painting. Bookmark the permalink.